Settlements at East Hounsfield 1855. 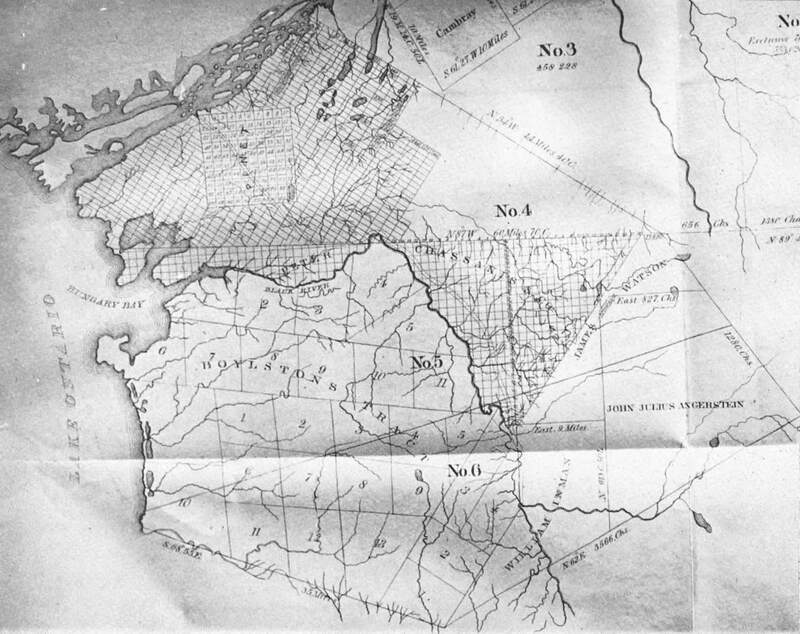 1855 Town Landowners Map: from the map collection of the Library of Congress, contributed by Mark A. Wentling. 1887 Town Landowners Map: (1MB file) from E. Robinson's 1888 atlas of Jefferson County, contributed by Mark A. Wentling. 1887 Sackets Harbor Village Landowners Map: (570KB file) from E. Robinson's 1888 atlas of Jefferson County, contributed by Mark A. Wentling. 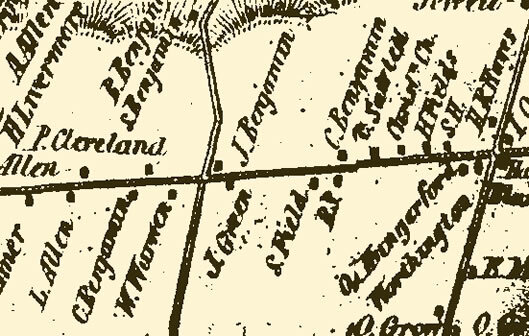 1887 Hand-drawn Map of Jewettsville: from Ossian Guthrie's "Discovery of Chloroform."